We can be your venue for weddings, corporate events, private parties and more! 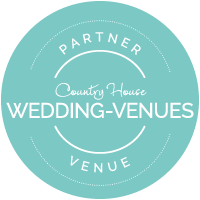 Stratton Court Barn, built in 1870, is a beautiful barn wedding venue in Stratton Audley, North Oxfordshire; its rural setting being the ideal location to host your function. As you drive through the main gates and along the drive, you immediately realise why the owners fell in love with the property. When Chris and Cathy Wigmore first saw the farmhouse and Stratton Court Barn over 15 years ago, they instantly knew that they had found the perfect place to bring up their family and run their successful business from. With over 50 acres of activity and formal communal areas, as well as gardens, the venue plays host to activity events, anniversary & birthday parties, conferences, corporate & team building events, hen & stag weekends, private parties, training events and wedding receptions. Hospitality has been at the heart of the Wigmore family for two generations and at Stratton Court Barn they have created an exceptional venue providing this, with full facilities, which they have shared with many local families and businesses throughout the years. Well what a wonderful wedding day we had on the 28th in spite of the weather, which quite frankly on the day we didn’t even notice. The barn was the perfect venue for us and the service you provided Karin was exceptional both before in the lead up to our special day and on the day itself. Your attention to detail and the way you managed everything so well was brilliant which meant we were just able to enjoy ourselves. A true professional! We can’t thank you enough. We got married at Stratton Court Barn on the 9th September. 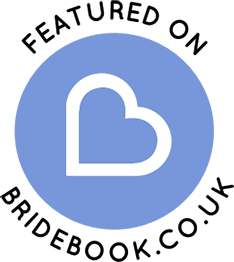 We had taken quite a while trying to decide on the perfect venue but after our initial meeting we both walked out and unanimously agreed how much we loved it. We want to say thank you to Karin, Warren and the team for making our wedding day a day that we, our family and friends will always remember. It was perfect! Beautiful location for family and friends to celebrate a wonderful and special day. Amazing venue with amazing staff! All our guests mentioned how well the day ran and how great the staff were. I can’t thank you guys enough, you made our day really special and stress free. The venue looks amazing as well! We had the BEST day on Friday!! Thanks to everyone at Stratton Court Barn especially Karin who was just brilliant and helped to make it the perfect day. We couldn’t recommend this venue enough it is just so beautiful! We had the most fabulous wedding day and can’t recommend Stratton Court Barn enough. Karin and her team made our day perfect and we wouldn’t change a thing! The venue is beautiful, the team are amazing and I really couldn’t have asked for more. Karin helped us make the day everything we could wish for! We are already planning on coming back for an anniversary party in the future!!! Gorgeous venue. Amazing staff. 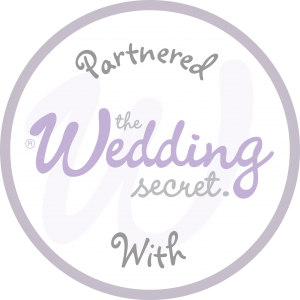 Karin & Cathy were brilliant in helping us plan our wedding! Thank you both! We had the best day of our lives at Stratton Court Barn. Karin is an amazing wedding coordinator based at the venue and ensures that you have the perfect wedding. The day went without a hitch and everyone commented on how beautiful the place is. Very highly recommended. We will never forget our perfect day. Thank you. We held our wedding here in December and we cannot thank Karin and the Stratton Court Barn team enough! From start to finish, it was an absolute pleasure. We had an amazing day and an experience that we will never forget for all the right reasons… highly recommended, beautiful venue! 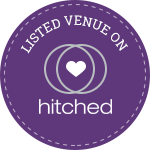 We held our wedding here in November and could not recommend them highly enough. Beautiful venue and smooth planning that took all of the stress of organising a wedding away. Great recommendations of suppliers and worked with our concept of a 2-day wedding wonderfully, giving us honest advice at each stage. Thank you so much! Perfect venue for a perfect day. Everyone was helpful and lovely. Can’t recommend it highly enough. Had my wedding here a month ago and it was amazing! We were so lucky to have found Stratton Court Barn and would thoroughly recommend the venue to anyone! Everything was organised perfectly. We couldn’t have asked for a better wedding venue. Perfect.